Show off your exquisite taste in the crook of your arm with the Cameron satchel. 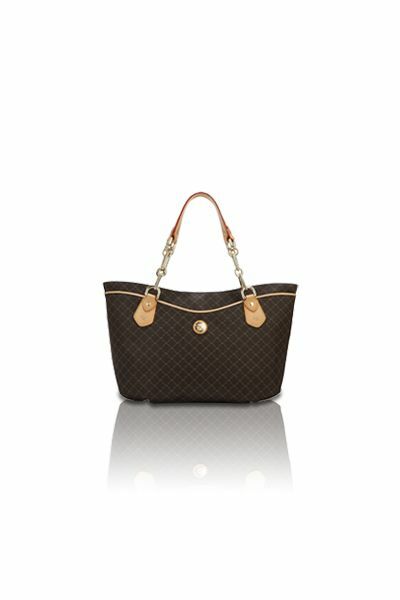 Gentle dark gold "RR" RIONI monogram print on solid brown designer canvas body. Leather trim accents and gold hardware. Two front concealed zippered pockets. Rear zippered pocket. 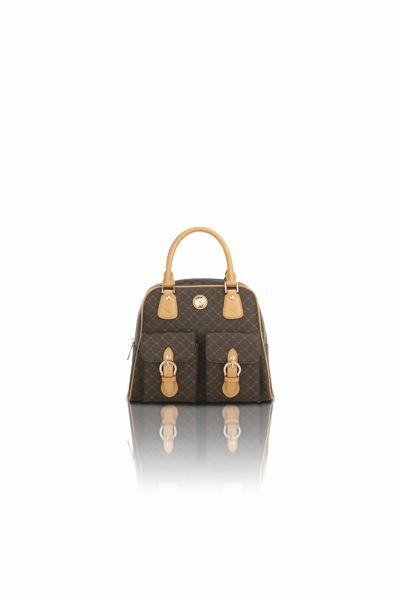 Top zip closure opens to a coffee brown fabric RIONI monogram print lining. Interior features a side pocket, a cell phone pouch, and a zippered pocket on the side. A detachable shoulder strap is included. L13 x W5 x H10.5"
Product: Cameron Satchel was added to cart.